Slow Cooker Mashed Potatoes are velvety rich. This easy dish requires no boiling, just simply chop & season and let the slow cooker do the rest! The result is smooth and flavorful potatoes which are the perfect side to any turkey dinner. They can easily be prepped ahead of time and kept warm in the crock pot until serving! A hearty meal is just never complete without warm mashed potatoes. 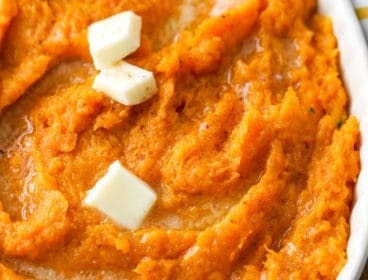 What’s better than mashed potatoes, you may be wondering? 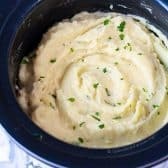 Mashed potatoes made in a slow cooker! Just imagine creamy potatoes with melted butter to compliment your meal with very little work and only one dish. Can you say, heck yeah?! 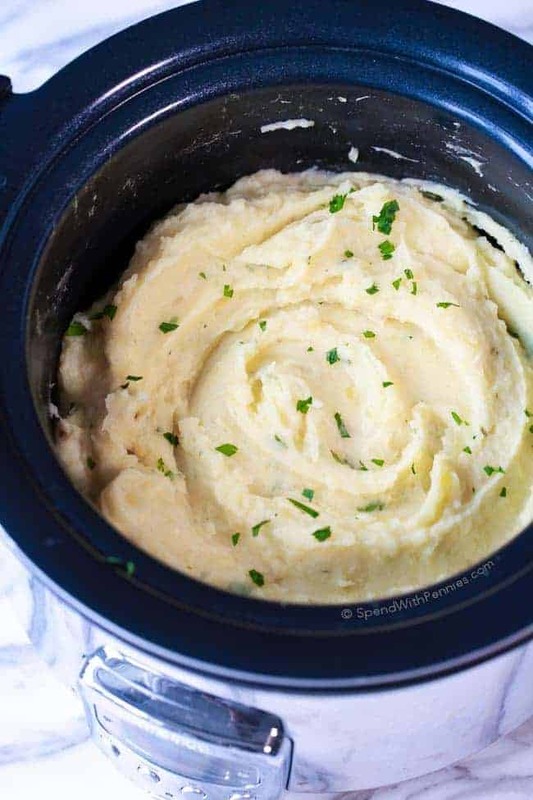 Add in a bit of sour cream, cheese or whatever you fancy to make these creamy crock pot mashed potatoes the star of your meal! 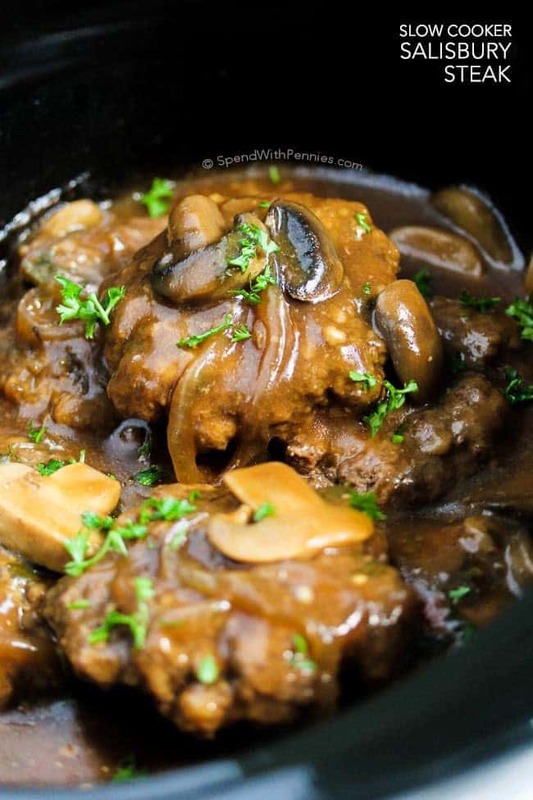 These potatoes are perfect to serve with an easy swiss steak, or slow cooker salisbury steaks! In fact, these are the perfect side to your next a big turkey dinner since you don’t need to worry about boiling the potatoes and these are prepped well ahead of eating. This means that when you’re in the crazy hectic last minutes of getting your turkey carved and your gravy ready, these are waiting and ready in the slow cooker. If they’re done a little early, just set your slow cooker to warm and they’ll be perfect. 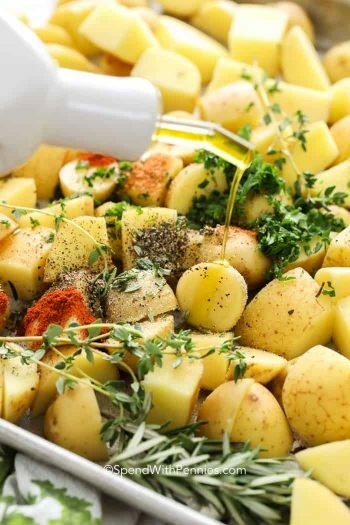 The best potatoes to use are red, white or yellow because of their smooth texture and buttery flavor! I’ve also successfully tested this recipe with russet potatoes (remember to peel them). To make these creamy, add a splash of milk or heavy cream if needed (depending on the type of potato, you may not need it). I use Homemade Chicken Stock but you can use canned or even vegetable broth for the initial cooking, the results will still be amazing. Whatever taste and texture you prefer can easily be incorporated into this recipe! Easy Oven Roasted Potatoes – Go to side dish! 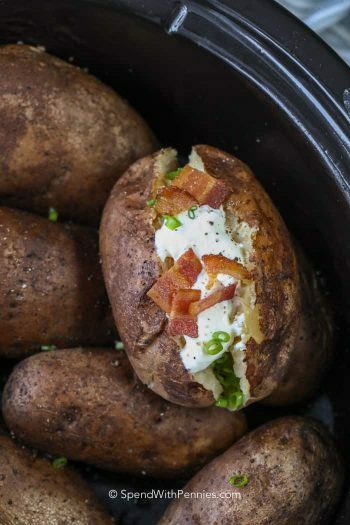 Twice Baked Potatoes – Make ahead and freeze! Loaded Twice Baked Potato Casserole – Family favorite! These were so pasty that they could have been used to apply wallpaper, if not for the lumps. Very disappointing, had to toss the entire 5 lbs of Yukon Golds. Maybe better results possible using russets, but I’m not likely to ever try this recipe again. Sorry they didn’t work out for you Das. I’ve made them with Yukon golds with great success so I can’t say for sure what went wrong. Ive had the potatoes in a crockpot on high for 6 hours now, and they’re still not done. Disapointed, as I was really looking forward to good mashed potatoes. Sorry, i wont make them again. I can’t say for sure what went wrong, potatoes should certainly be cooked within 6 hours in a slow cooker. So when doubling the recipe, would it take longer to cook or would it be the same amount of time? If longer, how many hours? I have only made this as written. If you double it, I’d suggest you make it earlier because if it’s done early you can set it to warm to keep hot for serving. I ruined the potatos last year by using the slow cooker. They turned black and scorched instantly. I put them in a pan to boil, as soon as i saw this happening, but it was too late. They were terrible!!!! No one complained, of course, but I’ll never do this again. I DON’T recommend this at all ! ! ! Did you use a 4qt slow cooker (or larger? ), what type of potatoes did you use and how long did they cook? I’ve made this many times with great results! I am trying this and my potatoes are starting to stick and scorch a little. Can you use slow cooker bags for this? 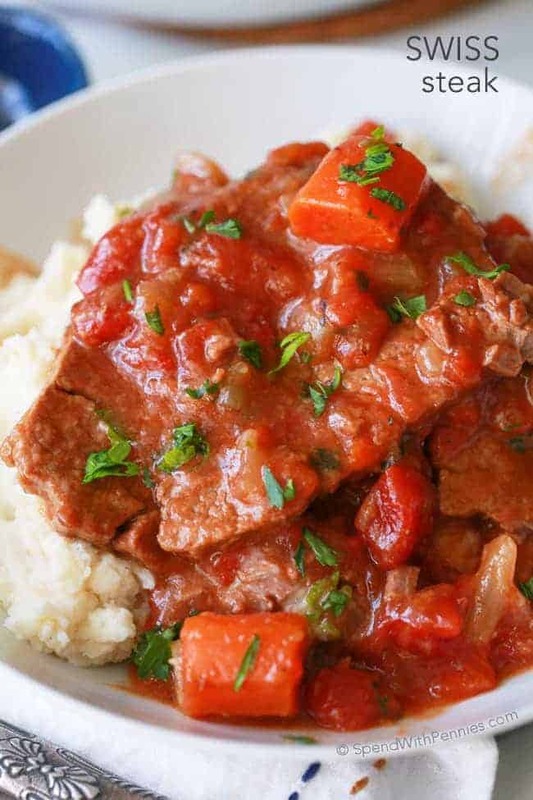 A slow cooker bag should work for this recipe. i really want to try these, my question is this, whenever i use a mixer to mix, because that is just easier for me, my potatoes come out gummy, how can i make sure that wont happen? The best way to avoid gummy mashed potatoes is to use a hand masher. 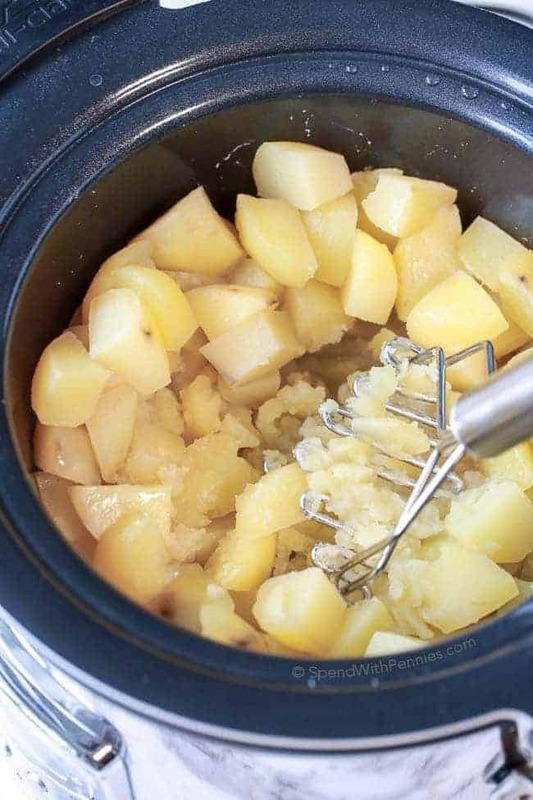 To make potatoes silky smooth, you can also use a potato ricer! Recipe calls for 5#s potatoes, broth, and powder’s slow cooked in a 4 QT slow cooker. I have only a 6 QT, can I still use or do I have to add additional potatoes, etc. A 6 QT slow cooker will be fine. You can use stock cubes dissolved in water in place of chicken broth. Thank you for this recipe it came in real handy for Christmas this year! Usually I am in such a rush to make the mashed potatoes and this was so simple! And I even did 15 pounds of potatoes I cooked them over night and they were wonderful there wasn’t even any left! 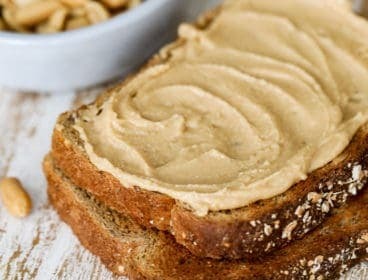 I will for sure use this recipe over and over again I am so glad that I found it on Pinterest! 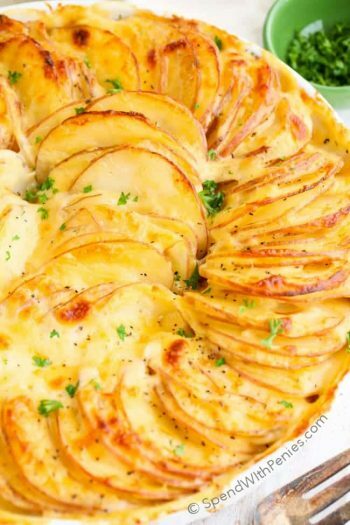 I have only read the first 100-200 comments or so, and saw a lot of concerns about using russet potatoes for this recipe, and those who met with difficulties. I just whipped up a batch (and I am a mashed potato novice…I usually go with store bought cause my own turn out so awful) using russet potatoes and so long as you keep an eye on them, stir them every 30-60 minutes if cooking on high, they turn out perfect. All evenly cooked, no burning to the sides and bottom of the cooker (other than the stray potato here and there, and that will happen with any variety I am sure), and done just right for mashing. Mine were just lovely. I made a batch tonight, and will be making another batch tomorrow (feeding 12, so one wasn’t enough, but I won’t have time tomorrow to do both for our Christmas meal), and even I, potato destroyer, managed to whip up a perfect batch of mashies with this recipe. Thank you SO SO much for this lovely gift! My family and friends will be most grateful tomorrow I am sure! I made these potatoes tonight and we love them! They are awesome! I am so glad you enjoyed this recipe Gennette! I’m going to try this for Christmas. My question is, Can I use stock instead of broth? Yes, that will work perfectly. Cooked my mashies this way for Thanksgivng and they were AH MAZING! So many raves and requests for more of this during weekday dinners. I was concerned early on because the onion and garlic smelled so strong when I opened the lid to check on them but it mellowed out and was PERFECT at “game time”. Thank you for a new family favorite! I’m so glad you loved them Kathy! I make these every year, I put heavy whipping cream instead of sour cream. makes a better tasting mashed potatoes. always creamy and rich. Could you sub sour cream instead of cream cheese to make it creamy? You can, they’re very creamy. For 10lbs of potatoes, do I double the broth or just the other ingredients? Love this deliciously easy recipe. Makes the holiday potatoes a breeze to cook and hardly any clean up. I only have a 6 qt and I’m afraid the potatoes will dry out or burn. I’ve read if your crockpot is too big for what’s in it bad things will happen. Thoughts? I have only made this as written. As long as there is enough liquid I *think* they should be ok. I would just say to keep an eye on them and give them a stir if needed. Holly will 10 pounds of potatoes fit in a 6 qt slow cooker? 10 lbs of diced potatoes should fit just fine in a 6qt slow cooker. Hi. I’m going to try these this week. I have a new 4 qt slow cooker. Should I stir the potatoes at all during the cooking? I will have the luxury of time. Do you think cooking longer on low or shorter on high gets better results? After 6 1/2 hours in the crockpot my potatoes were a weird tan color and had a funny taste. What did I do wrong??? I can’t say for sure what happened. Did you cook them on low? I have Russet Potatoes…(should have read the recipe before shopping) Will those work? 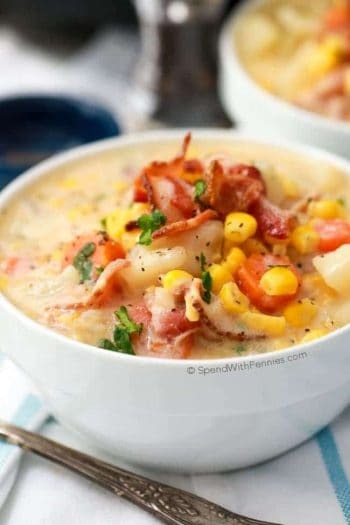 Going to make this in a 4 qt crock pot (one of the newer ones which I understand cook hotter than the crockpots of old). Does cooking on low for longer get a better result than high for shorter? And do you stir them at all during cooking? I have made this on high and on low with great results. After I read all the comments about burning and sticking I decided not to do this for a Thanksgiving potluck. My friend talked me into doing it since she has done it many times and loves it. I am 3 hours into the project as I write this. My first peek at it was after an hour on high and they were sticking on the bottom so I gave it a stir and several of the pieces were crusty and brown. Gave it another stir, and same thing. Decided to turn the temp down to low at 2 hours. At 3 hours some pieces were starting to turn soft but others were raw, so I am skeptical that they are going to be done enouh to mash in the next hour. I surmise that everyone’s crock pot Cooks differently and I should have just done it in the conventional way boiling them in a pot. It was not one of those things that you could put it in the Crock-Pot and then think you could run to the store for a couple hours and everything would be okay like most crock pot meals. This was more work than I want to do! I’m sorry these didn’t work out for you. I’ve made them for years this way in a 4QT slow cooker with great results every time. You may not have added enough liquid to your crockpot! 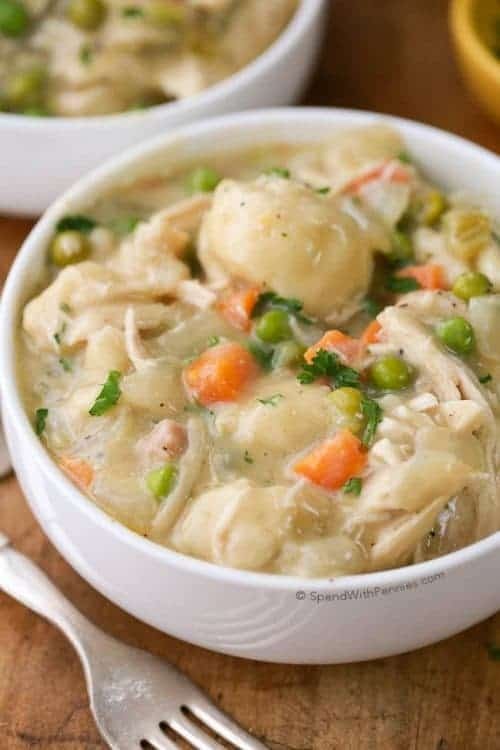 I made this recipe in mine and even cooked them over night on low I did stir once to make sure the potatoes on the top cooked like the ones on the bottom I did not have any problems with potatoes sticking! If you double potatoes(10lbs) do you double the ingredients? Won’t they be less creamy with twice as many potatoes?? I would suggest doubling the remaining ingredients as the broth does steam the potatoes but it also adds flavor when it is mixed in. They may take longer to cook if you add extra potatoes, I haven’t tried it with 10 lbs. These look amazing! I love mashed potatoes with the skin on? Will it work for this recipe? 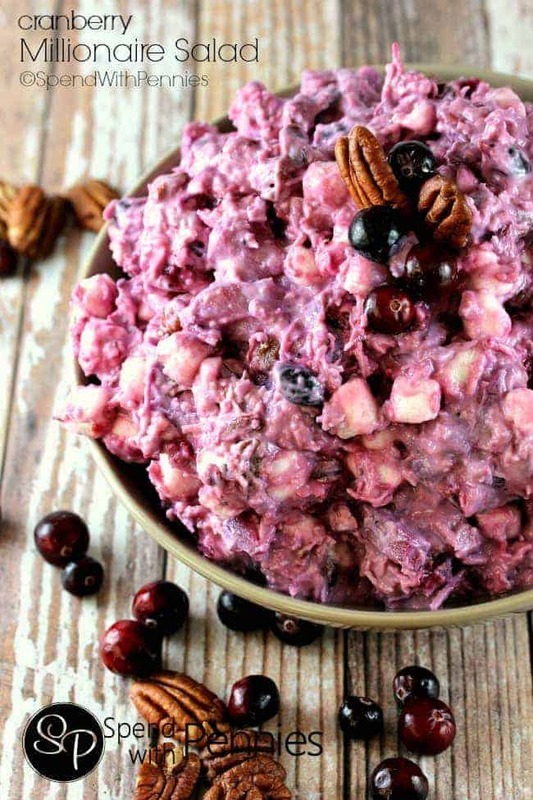 I have been looking some time for a recipe like this and after reading all the comments, will probably test a smaller batch before making a full crock for the Thanksgiving banquet. They really sound great and I will let you know how they turn out on my half batch! Just wondering if these will taste good with gravy when there is sour cream & cheese in them or would I use something else instead? 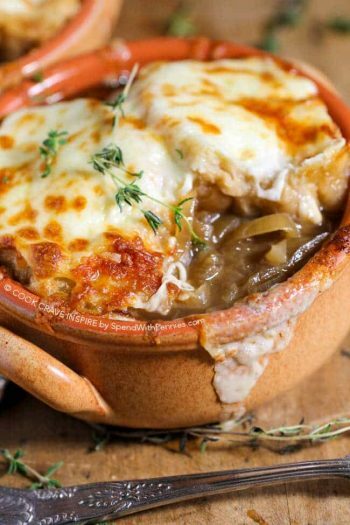 I think gravy is a delicious topper for this recipe! Potatoes did not cook with the amount of time suggested and were not creamy once they did cook. Big disappointment for the school potluck I brought them for! I’m sorry this didn’t work out for you. Which variety of potatoes did you use? Although metal utensils really shouldn’t be used with crock pots (and especially not beaters) as they can chip away at the finish (which can get some nasty stuff into your food) or even crack the crock… I’ve had it happen before. One thanksgiving my f family member was having dinner, everything was suppose to be cooked in a crock pot, I did mash potatoes in the crock pot and everyone remarked how good they were. I am going to use vegetable broth because I am out of chicken. Very good. I would cook it again. I made these tonight for my family of four and they turned out great! I used 3lbs of russet potatoes but still added the 1/4 cups of butter and sour cream. We’ll definitely be having these again! So simple and delicious. I didn’t have any cream cheese but will try that next time. Can you substitute milk instead of chicken broth? I haven’t tried this with milk however milk can sometimes curdle/separate in the slow cooker so I would recommend a broth or water. 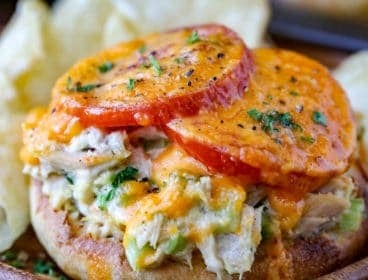 Looks good I am trying this today! Thanks! I followed the recipe exactly as written, except for the parsley…my kids won’t eat it if there is “green” in it lol… I cooked it on low for 6.5 hours and the potatoes burned, stuck to the sides and were so thick. I think the time needs to cut lower?? Any thoughts. Your slow cooker may cook a little bit hotter than mine. As long as the potatoes are soft, you can reduce the cooking time. 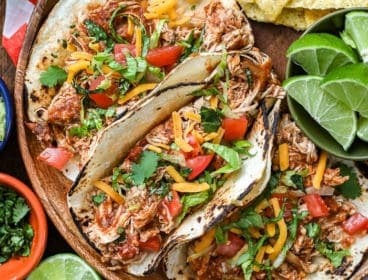 I make this in a 4QT slow cooker. Do you not need to cover the potatoes with the broth? No, just a little bit in the bottom. It will basically steam the potatoes. 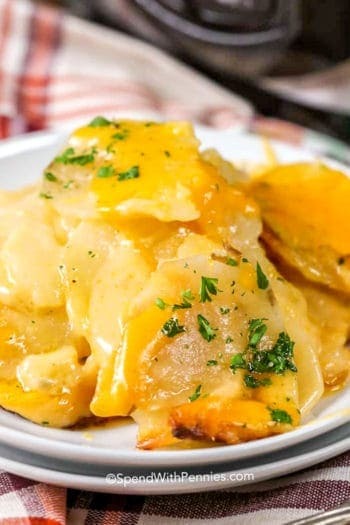 Hey Holly, I have had my 5lb bag of Yukon Gold potatoes in my crokpot since 9 a.m. this morning and it is now 4:56 p.m. and I had them set on medium heat and they’re still not done, alot of the potatoes on top are raw !!! What did I do wrong ?? I used a 5 quart crock pot also. That is the same variety of potatoes I use and they should’ve been tender in the time suggested. I would suggest possibly double checking the temperature of your slow cooker. There is just the two of us, can these be frozen in smaller batches? You can freeze them in smaller batches. Once thawed, the consistency can change slightly (a little more watery). You can add in a little bit of cream cheese or sour cream (and/or drain any liquid). I prefer to use the leftovers in other recipes such as a Shepherd’s pie. Help! I cant fond the recipie for “Dressing muffins:”..can you help? Also, I love the idea of “sheet pan meals” ..dp you have any? Many thanks in advance.. I have a lovely Sesame Ginger Salmon & Broccoli sheet pan meal. I have ever always hated to boil taters. I am looking forward to trying this in the crackpot. Thanks for sharing. Enjoy Barbara! We love these! Can you do sweet potatoes with OJ? I haven’t tried it (although it sounds delicious). If you do try it, please let us know how it works out for you! I cooked these on high to save tone but I would suggest a crockpot liner because they stuck all over the sides of the crockpot. Or any other suggestions? 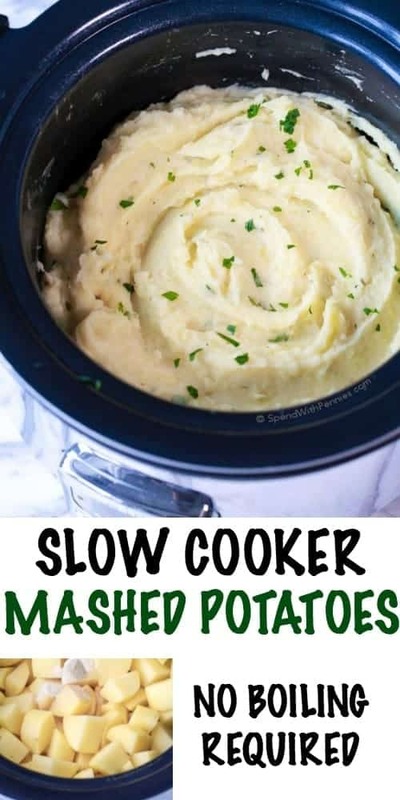 While my crock is non-stick, buttering the sides of your slow cooker may help as well. Ig I don’t have all of the ingredients for my meal can I substitute something else in place of that missing ingredient? I tried your mashed potatoes, they were great. My daughter gave me some silicone muffin cups I thought about it and then mixed up Hamburger 2 lbs, 2 eggs, season to taste, then add one box of Stove Top Savory Herbs stuffing, mix well, fill the muffin cups. Bake at 350, until fully cooked cooked time may vary. Then add corn on the cob, with a glass of milk. Milk is optional! Wow that sounds delicious Bob! Thank you for sharing! Made them for a potluck tomorrow. So delicious!!!! I couldn’t stop eating them and had to make a bowl to keep for my kiddos and I. I doubled the recipe and added milk and used the cream cheese. Drool…. So glad you loved them Mandy! BEWARE! Do not try this with russet potatoes when you are having company or at thanksgiving. I tried this on Thanksgiving, thinking I was going to save space and the potatoes cooked on the bottom first and then after I stirred them they got all mixed up and ended up with some cooked and so much uncooked. It ended up like potatoe salad with huge uncooked lumps! Not good on Thanksgiving! I would stick with the potatoes they suggested and try it out first. Oh no, how disappointing! I’m sorry your potatoes didn’t cook through. Did you use 5lbs of potatoes? Yeah. Wish I would have read these comments before making these. It’s 30 minutes until our Christmas Eve meal. I had one job. Potatoes. Mostly raw chunks. They do work with russet potatoes because that’s what I used, however they will burn easier. I just stirred them often to keep them from sticking to the side of the Crock-Pot and burning. I also used your cream, butter, and milk and they turned out very creamy and smooth! Nevermind, I saw your answers from comments above…Thank you! These are in my crockpot as we speak, but the potatoes on top seem to be ‘burning’, or getting brown. Is 3/4 cup broth enough liquid? Yes, 3/4 is plenty as you don’t drain the potatoes. You think it’d be okay to leave the skin on? We like our mashed potatoes with the skin. If your potatoes are red, white or yellow, yes that would work just fine. Yes, you can find my Facebook Page here. I have the same question as Mary F, would this work for russet potatoes? They are our favorite for mashed potatoes. Yes, russet potatoes should work just fine in this recipe. Has anyone tried russet potatoes instead of the suggested? Since it’s Thanksgivng russets are awefully cheap and I’ve already bought everything before finding this recipe! Russets are what many chefs suggest and I’ve found often work best! Could i sub the sour cream for milk or cream? I really hate sour cream, but i want to keep the traditional buttery creamy goodness. You can certainly leave out the sour cream. It just adds a little creaminess, you can add a little extra cream cheese or heavy cream in place. I would start with about 2-3 tablespoons and add more until you reach the desired consistency. 10 lbs should be good for 18 people. I can’t wait to try this… I usually peel, cook and mash the potatoes the night before Thanksgiving. Then I put them in the slow cooker Thanksgiving morning to reheat and stay warm. This could be doubled with no problem, correct? How many servings for 5lbs red pots? This would give you about 8 servings. Just an FYI that the recipe calls for 5lb mashed potatoes; pretty sure that’s an oopsie! Looks delicious and I’ll be giving it a try for my first Thanksgiving with the in laws! Do you have to drain the potatoes or will the soak up all the broth? You do not have to drain the potatoes. As with most mashed potatoes they can certainly be made ahead of time and reheated the next day. 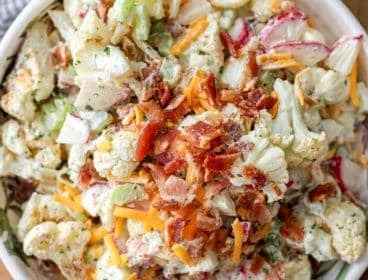 What size crock pot would I need to use in order to double this recipe for 10lbs of potatoes? I think a 6qt crock pot would be sufficient! Can these be made ahead & reheated over a double boiler (or microwave)?? I need the slow cooker for my turkey breast?? Yes, they can be made ahead and reheated. What is the best potato to use for these? I know you mention red, yellow or white – but what do you think works BEST? Does using 10 lbs of potatoes increase cooking times? It may increase the cooking time slightly. Just check that the potatoes are tender with a fork before mashing. If they are done ahead of time, you can keep them on warm. What kind of potatoes work best, red, white or Yukon gold? All of them work well, my personal favorite is Yukon gold. Could you cut the potatoes the night before and put them in the fridge? Or will potatoes brown that way? I have cut potatoes the night before, if you keep them in water, they won’t brown. Drain them well before using. How big was your crock pot? I used a 4QT slow cooker. do you think it would be just as good with water instead of the broth, I dont want them to be to salty. The broth does add flavor. You could try a low sodium or no sodium version of broth. What about a beef broth? We’re having them tomorrow with a roast. Not sure chicken broth would go with dinner. I haven’t tried these with beef broth so I can’t say for sure how it would taste. I use chicken broth as listed in the recipe. Can this be made a couple days in advance? Anything to be done ahead of time so I can enjoy time with my guests instead of in the kitchen on Thanksgiving! Yes you can make these ahead of time and reheat them before serving. What is the best way to reheat them? 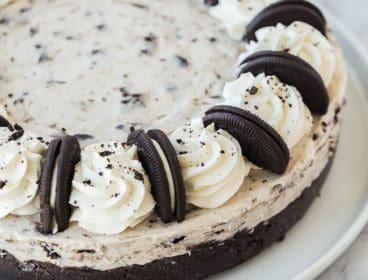 I want to make them tonight and serve them at 1 o’clock tomorrow. Thanks in advance for any tips you can provide! You can either heat them in the microwave or in the slow cooker on low for a few hours. Once hot enough they can stay on warm. i need enough for 12 adults, how many potatoes do I need? You will need about 10 lbs of potatoes (double the recipe). I am also needing to do 10 lbs. Does the cooking time need to be adjusted at all? I gained two pounds just reading this, I will use the slow cooker for my mashed potato’s this year. I love the idea for muffin stuffing, one of the best part of the stuffing is the crunchy part from the outside of the bird. After you mash them can you leave them on low or warm for 30 minutes or more while you prep other foods? Just wondering if they would get gummy. Absolutely! I have left them on warm for up to 90 minutes and they don’t get gummy. 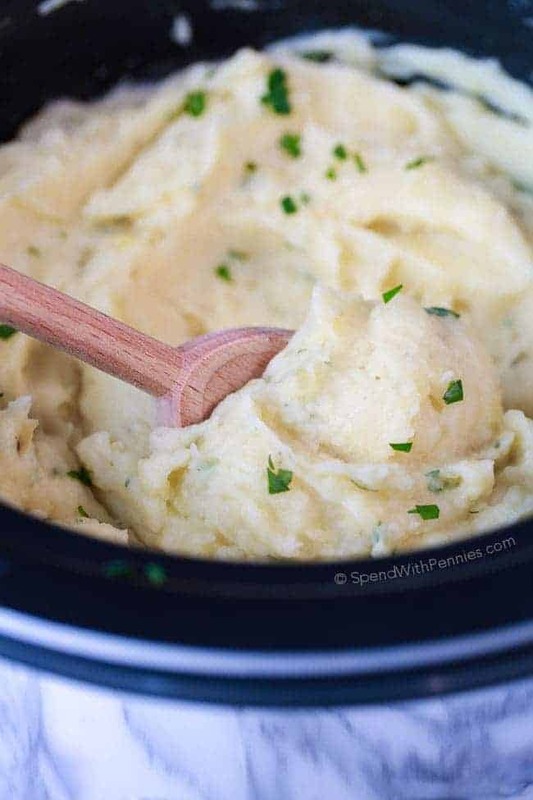 I have made my mashed potatoes ahead of time for years, but never cooked them in the slow cooker! Duh! Can’t wait to try this! I do put a layer of paper towels under the lid of the slow cooker to catch any condensation. Keeps the potatoes nice and creamy! Does the butter need to be melted or softened? The potatoes will be very hot when you mash them so there is no need to melt the butter. I usually leave it on the counter to soften when I put the potatoes into the slow cooker. Could this be made using diary free products? While I haven’t tried it with dairy free products, I’m sure it would work perfectly! Yes you can half this recipe. 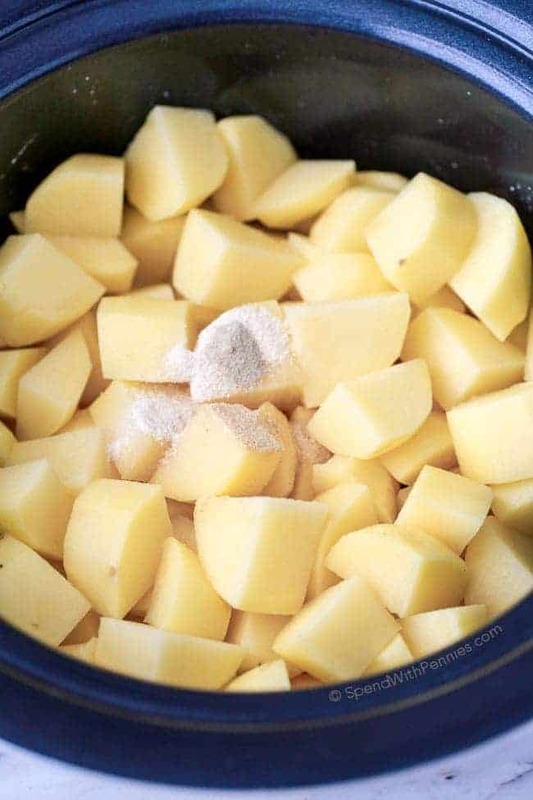 You may need to reduce your cooking time slightly, you just want the potatoes to be soft enough to mash. They look absolutely perfect and I love how easy this is! Thank you Averie! I love that the slow cooker does all of the work!